Learn how to use the Advanced Business Configuration settings in Kashoo. 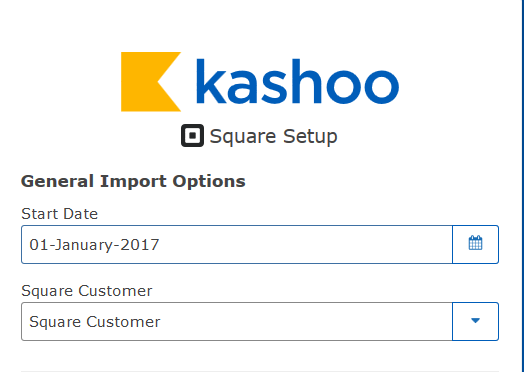 If you are looking to simply connect your Square account with Kashoo, please click here to learn how. While all your import dates and customer, account, item, and tax settings can be automatically created when you connect Square to Kashoo, you can also fine tune these settings by clicking on the Show me Advanced business configuration box while setting up the Square integration. By clicking on the check box and signing up, you'll be brought into the Square Integration Setup page. Note: If you ever need get back to this configuration page once you've completed the initial setup, you can do so here. Start Date: Choose what date you want to start importing transactions from. By default it's set to import one year's worth of transactions. Square Customer: Choose the customer name that you want to associate all sales to. By default sales will be attributed to a newly created Square Customer. Choose what payments types will be attributed to which Kashoo accounts. Credit Card: By default, a Square Clearing account is created in Kashoo. This is where the funds from a Transfer Settlement are temporarily held before being deposited into your bank account. Cash: By default, this is your Cash account. These are any sales that are paid for using cold, hard cash. If you deposit any cash into your bank account, please be aware that in Kashoo you need to create a transfer, moving funds from your Cash account into your bank account. For more info on transfers in Kashoo, please read the article called Using the Transfers Page. Third Party Credit Card: By default this is your Undeposited Funds account. These are any credit card sales that are processed using a non-Square payment processing system (like if you accepted a payment via PayPal). Square Wallet: By default this is your Undeposited Funds account. Unknown: By default this is your Undeposited Funds account. This is used when the payment type is unknown. Square Gift Card: By default, a Square Gift Card account is created in Kashoo. This is an other current liability account. As you sell items using gift cards, the value of this account decreases. Other: By default this is your Undeposited Funds account. This is for all other payment types. By default, Credit Card transactions, which are done through Square credit card processing system, are attributed to a Square Clearing account. But what is the Square Clearing account? Well, whenever you make a credit card sale in Square, it takes a few days for the funds to be deposited into your bank account. That Square Clearing account acts as a holding account that represents all the credit card funds that are waiting to deposited into your bank account. Once funds are transferred to your bank account, Kashoo will move your funds from your Square Clearing account into your Settlement Transfers account (i.e. your bank account). You may have noticed that by default, the Undeposited Funds account is used a lot. What is the Undeposited Funds account? Like the Square Clearing account, it is used to temporarily hold money until it is deposited into your bank account. So if you received checks, they would be considered an Other payment type and go into your Undeposited Funds account in Kashoo. Once you deposit them into your bank account, you would need to go into Kashoo and manually transfer the funds from the Undeposited Funds account into your bank account. To learn more about the use of an Undeposited Funds account, please read the following article titled Using an Undeposited Funds Account. If you are using Square Gift Cards, this is how they currently work. If you have existing Square Gift Card Sales and you created a new Kashoo account, all sales will brought in as income (a new item called Gift Card - which is mapped to the Sales Income account - is created). When a customer uses a Square Gift Cards, the sale is also treated as income, and the payment is attributed to your Square Gift Card (other current liability) account. So, what ends up happening is that you are double counting your income. To correct this, the easy fix is to re-map your Gift Card item. Instead of mapping it your Sales Income account, you want to map it to your Square Gift Cards account. To do so, go your Items page. Then find your Square Gift Card and Edit the account it is mapped to. Choose which accounts to map things like income, tips, and merchant fees to. Default Income Account: By default this is your Sales Income account. If you enter a custom $ amount or an item that hasn't been mapped yet, sales will be attributed to this account. 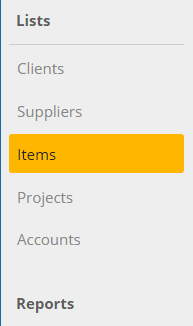 If you want to track every item in Kashoo you will need to do that in the advanced Square Item Mapping. Tips: By default, a Tips (Income) account is created when you enable the integration. Depending on how you want to handle tips, you may need to use an account type other than income account. If you don't know what to do, we recommend talking with your accountant. Settlement Transfers: The account your Square Settlement Transfers will be deposited into (i.e. the bank account that Square sales are automatically deposited into). Discounts: By default this is your Sales Income account. If you want to track discounts separately, then choose a different account, but it's not necessary to. Rounding: By default this is your Sales Income account. Rounding is used when a sales is rounded up or down by a penny and causes a discrepancy. Refunds: By default this is your Sales Income account. It tracks any refunded sales (which will show up as negative amounts since an Income account is used). Square Merchant Fees: By default, a Merchant Fees account is created in Kashoo. This is an expense account that tracks the fees you pay to Square for processing credit cards. Square Clearing: By default, a Square Clearing account is created in Kashoo. This is where the funds from a Transfer Settlement are temporarily held before being deposited into your bank account. The Square Clearing account should be the same as your Credit Card account, so change it with caution. Taxes in Square will be automatically created in Kashooo. However, you have the option to map a Square Tax to an existing tax in Kashoo. If the same taxes don't exist in Kashoo, you can use the Import fee from Square... option. If you want to track all the items you have in Square in Kashoo you will need to add them and map them in the Advanced Square Item Mapping area. You can then choose what income account to associate your item with. Make sure to click on Save Square when you're done adjusting your settings. If you manually enter a customer invoice into Kashoo, and then you customer pays through Square Register, you'll end up with a duplicate transaction. This is because in addition to the unpaid invoice you created in Kashoo, the Square integration will import a paid invoice. Remove the unpaid invoice that you manually entered. There are two negative aspects to this method. First, if you're practicing accrual accounting, this can cause your invoice date to be incorrect, as the Square integration only imports invoices once they're paid. So, if you had invoiced a customer in 2015, but weren't paid until 2016, removing the unpaid invoice will artificially lower your 2015 income. If you had filed any taxes based on your 2015 numbers and then deleted the invoice, this would cause your filing to be incorrect. Second, by removing the original invoice you entered into Kashoo, this may cause confusion if you ever try to look up the invoice by its number. Remove the paid invoice imported through the Square integration. The downside to this approach, is that you need to manually record the payment and Square fees on the unpaid invoice. Either method is acceptable, but you'll generally run into less issues by following the second way (which is to delete the imported paid invoice and manually record the payments and Square fees for the unpaid invoice).